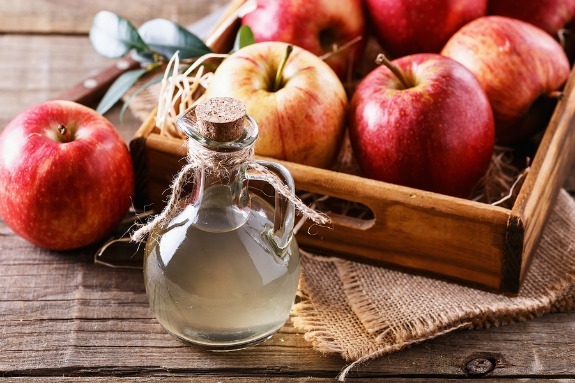 What’s all the hubbub about apple cider vinegar these days? As I surf the Internet, there are ads everywhere promoting this stuff. Apparently apple cider vinegar or ACV is like a miracle in a bottle. Many sites claim that it can cure just about any ailment, that it is filled with much needed nutrition and drinking it will help you lose weight. I am definitely disappointed in the ads that say “just drink one glass of this beverage and melt fat away while you sleep”. Really? Perhaps they are not giving us all the facts. Sounds great. I’ll just enjoy some of my favorite fried food, or perhaps do a pizza night, followed by a good size dessert. As long as I drink a beverage that contains some apple cider vinegar I should start losing weight overnight, right? For those of us who struggle with weight loss or struggle to keep it off, we all know it is not that simple. So is apple cider vinegar good for you? Yes, it’s good for you, but it’s not a miracle tonic. Apple cider vinegar does have health benefits, just like many other healthy food choices we have. Our family uses ACV in almost all of our homemade salad dressings and also enjoy it in some of our beverages, but if you would like to drink ACV beverages I wouldn't drink more than 3 beverages a day. We enjoy an ACV beverage on an empty stomach about 20 minutes before eating a meal. It helps improve digestion. It can also be a nice replacement for coffee in the morning. There are actually 2 beverages that contain ACV that we indulge in from time to time and I will share the recipes with you just a little further down the page. Seems like the top choice these days for ACV is the “Bragg Organic Apple Cider Vinegar”, it's definitely one of the top sellers. When purchasing this type of vinegar you will want to make sure that the label says that the vinegar contains “the mother”. The “mother” is an amino-acid and because this vinegar is not pasteurized (being unprocessed and unfiltered) this helps preserve many health benefits in it. Pasteurized apple cider vinegar will not contain those same health benefits because they are lost in the process. I like Bragg vinegar not only because it’s healthier than pasteurized ACV, but because it has a unique flavor and it's always nice to have a variety of choices to choose from especially when making different salad dressings. Using organic apples it is unfiltered, unheated and unpasteurized, which helps retain its natural goodness. 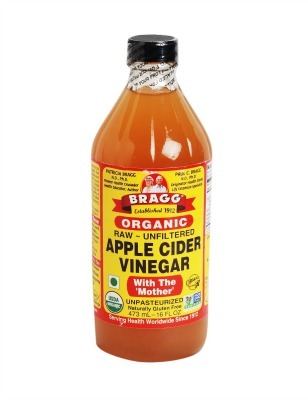 Tip: Always shake the bottle of Bragg apple cider vinegar very well before using, as there is a sediment on the bottom. When ACV is used in part with a healthy diet and lifestyle it makes sense that it could help with all those benefits listed above. This is because apple cider vinegar can help detox the body similar to the advantages of freshly squeezed lemon juice. Anything that can help detox the body also helps strengthen the immune system. Also detoxing the body helps improve liver function. When liver function is improved this also helps improve digestion. When the body properly digests the foods we eat, it is much easier to prevent disease. When liver function improves, so does pretty much everything else. And of course better liver function is directly related to easier weight loss. It’s all connected. Melts away fat without dieting. If a diet is filled with unhealthy fatty and sugary foods then weight loss cannot be achieved. It just doesn't work like that. Another false statement is that ACV contains lots of vitamins and minerals, this is untrue. It does offer potassium and enzymes (great for digestion) and its acidic value is what helps make it healthy. Will create or worsen acid reflux or heartburn is also an untrue statement. ACV is acidic but turns alkaline when in the body. In fact there are many people who treat acid reflux with ACV. Some suggest using it to help whiten your teeth. Please do not do this. In fact, using ACV as a whitener for your teeth will most likely wear down the enamel on your teeth because of its acidity. Do not drink ACV in an undiluted state. Mix it in water or in a beverage before drinking. Do not drink too much, everything in moderation is key. Stir well. It kind of tastes like pickle juice. Love it. Usually enjoy a cup of this in the morning or 20 minutes before mealtime. This one is also great on an empty stomach or 20 minutes before eating. Any food or drink that helps detox the body is a winner and apple cider vinegar does help with that. Of course, there are many foods and liquids that also help detox the body and everything we do to help cleanse our bodies will help improve liver function. It’s simple, when we have good liver function, then health and weight loss will follow. 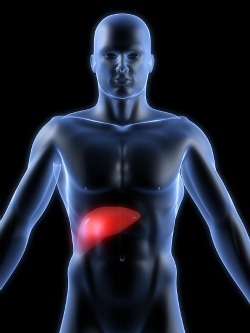 The liver is your body’s hardest working organ and has many functions to ensure your survival. It filters, eliminates and neutralizes everything that you put in your body, and I mean everything. Everything we eat, drink, inhale or absorb through our skin. Click this link for more information on liver function.